A trip to Spain is a chance to discover exceptional architectural heritage, to experience unique & dazzling nature, to become acquainted with the customs of the locals and to share with them the joy of life and all its beauty. Spain gives the opportunity to fulfil every traveller’s dream, no matter what they are searching for: A relaxing time on the beach, a historical journey into the past, an active and adventurous trip out in the nature, or a mixture of it all. 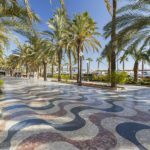 Additionally, one will encounter a lot of sunshine, divine food and an insight into the diverse Spanish culture with all it has to offer. The perfect conditions for a roundtrip you will never forget! Some ideas for Classic Roundtrips are shown below, for information and inspiration. ONE WEEK IN SPAIN: ¿WHAT TO DO IF YOU ARE A STUDENT? 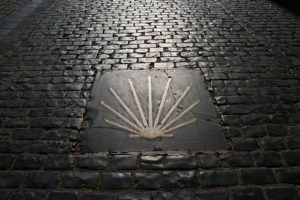 The ‘Camino de Santiago’ is one of the most famous pilgrimage routes of Europe. It is a well-marked trail with a total length of about 780km. Its final destination is the ‘Santiago de Compostela’, a beautiful cathedral welcoming the pilgrims after their long journey. Different routes can be chosen, only covering a part of the whole trail, or walking the total. By the way, it is also possible to go by bike or even on the back of a horse. Art Museum and galleries: The principal cities in Spain (Barcelona, Madrid, Sevilla, Zaragoza and Córdoba) have an artistic core inside structures with modern and classic basis, exhibiting works from contemporary painters of sixteenth century. One of the most visited museums is the “Museo Del Padro” located in the center of Madrid. We can find works from Diego Velazquez like (“Las meninas”) and wonderful pieces by Francisco Goya as (“La maja desnuda”). Wine and Mediterranean gastronomy: The Spanish food has many Europeans influences and it stands for exquisite and typical dishes. The legendary miniature canapés known as “pintxos” and their traditional “tapas” (appetizers and snacks) are part of the Spanish identity, being a mix of seafood and animal meet. We can find in every bar and restaurant this dishes; always accompanied with a glass of Rioja wine. Cultural folk tours: The geography situation has made the Iberian Peninsula a space of first connection with the culture of the north and south of Europe, also with African roots. Spain has a rich cultural and historic patrimony reflected in their traditions. You can go to flamenco shows, cathedrals and churches (absolutely architectural jewels) like the “Sagráda Familia” in Barcelona and also visit in Island Canaries, specifically in the center of Gomera; The “Parque Del Garajonay”. “El Roque Aganado” is an authentic living fossil. A roundtrip around the Basque Country has something to offer for everybody. There are plenty of possibilities to just relax on one of the beautiful beaches, enjoy the small fishing towns, get active and sporty in the vast nature or on the mountains, or explore one of the modern cities like Bilbao. Rich history and culture, as well as delicious specialties such as the ‘Pintxos’ or Cider can be found and celebrated in this area. Spain is a very old and historical country, where one can find endless sites and possibilities to dive into the long history of this beautiful country, especially along the Mediterranean Coast. Uncountable UNESCO World Heritage Sites show the development of Spain in terms of numerous archaeological sites, where one can figuratively imagine the former emperors and gladiators. Several places show the rich Roman legacy all around Spain, some important ones are for example Merida, Toledo, or Extremadura. This route is a very historical route, taking its visitors back in time to the 13th until the15th century, when the Nasrid dynasty ruled the area. The old kingdom of Granada, with the great Alhambra as its most famous symbol, consigned a whole lot of fortifications and castles, telling a story of a long history, mostly between Muslims and Christians. This route leads along such historical towns as well as mountain areas such as the Sierra Morena. There is a huge variety of things one can do in Portugal and a roundtrip is the perfect way to explore it all. Depending on the time frame available, the regions can be chosen in order to make sure the trip will show the most places possible without rushing through. A must-see are the places mentioned in the title, covering the most important aspects to get to know this beautiful country and its rich culture. Cordoba, Granada, etc. represent a rich mix of cultures and entail a great deal of history to be discovered. The traditional Flamenco dance, as well as the powerful Bullfights have their origin in Andalucía and should not be missed out. Whoever has read Cervante’s novel ‘Don Quijote de La Mancha’ has an idea of these diverse and colourful landscapes of the region Castille-La Manche, covered in windmills, some mountain ranges, or many vineyards. Here one can follow the adventures of Don Qujote, for example during a weekend trip, before or after visiting neighbouring areas like Andalucía or Madrid. The area is full of cultural highlights and medieval sights, being the ancient kingdom of Castille. Spain has a powerful history past. Between their provinces, we can see memorable architectural structures (modern and classic); enjoy the Mediterranean coast, taste a good wine and an exotic cuisine (sea food and multicultural influences), also visit natural parks with high mountains (skilling in Pyrenees) and historical monuments. We delight with so many artistic performances and attractive cites, each of them have a subtle charm that leaves us, an indelible mark in our Europe’s journey. The Modernism movement is a big part of the Catalan culture and identity nowadays. It has its main legacy in architecture, the most famous architect of this era being Antoni Gaudi, whose work can be found all around Barcelona. Another famous representative of such experimental art is Salvador Dalí, whose museum is located in Figueres, north of Barcelona. This roundtrip covers all most important modernist and Art Nouveau values. The Spanish language evolved over many years, changing from different dialects, adapting different influences and finally becoming one of the most spoken languages in the world. This development can be traced back, especially in the Salamanca and Valladolid region, where the first written grammatical evolvement was recorded. This route has been declared a Major Cultural Route by the Council of Europe. The coastline of Portugal is beautiful, especially the Algarve, standing out with its beautiful weather. However, the inland should not be neglected completely, as it keeps more aspects of the traditional Portugal, with very authentic places and sites. A combination of both is perfect for a relaxing holiday, partly on the beach, partly in interesting villages, where the Portuguese culture can be explored. There are many possibilities to discover the wine regions of Spain, be it just a daytrip from Barcelona or Madrid, up to a whole journey around the different areas, like for example the famous La Rioja region. Visiting the vineyards, participating in workshops, staying on the beautiful countryside and taking part in fine wine tastings combined with the right food – an authentic way to discover the famous wine regions of Spain! For many years this route was a main gateway for goods, travellers, traders, etc. Leading from south to north, from Sevilla to Gijon, it was a route of great importance, also distributing cultural aspects and language. However huge differences can be seen along the way, starting in the Andalusian city of Sevilla, passing further cities, temples, castles, fortresses, until reaching the seaport of Gijon in the north. There exist many travel companies where they handlers offer tourist packages for students exchange and visitors from the others European countries. These travel agencies customize all travels and spent arrangements; they undoubtedly can help you with your itinerary on your trip for Spain and Portugal, and get you a good promotion of planes tickets. 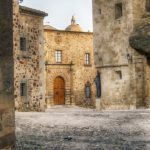 Spain Adventures: This travel agent offers a design tour adapted to your interests in the countries that which feel counterfoil and ready for the unique experience. They offertours walking and biking, accompanied with diners on exquisite and delightful traditional restaurants, where you can taste the best of Mediterranean food: sea and land in the same place. Spain Adventures tenders tours wine for the most delightful Rioja’s vineyard and Basque cuisine with guiding help, these guides are multilingual and will anticipate your every need. The Unique Traveller: This team of tour operator is developed by tourism professionals and experts in Digital Market. The Unique Traveller provides a custom scheduled with differ actives like events, conferences, art tours (museums and galleries)with the company of a personal guide. They show you a classical and modern Spain, restaurant and wine club, parks and touristic places. Your specialty is to make business plan and incentive programs for corporation interesting. Portugal Tours: Specialized in enjoyable tours, this tour agency has a highly qualified and experienced in “ecoTours” andeducational trips. Their sustainable and ecological projects, applied in tourism models, make aware your clients about the environmental involvement and contribute for a better world. Portugal Tours offer guided tours packages in Portugal with transport and arrives in beautiful places like: Azores Island and Madeira. Beautiful weather, Andalusian surroundings with its relaxed atmosphere and wonderful food, impressive towns and villages in the typical radiant white colour – this roundtrip is a visual delight and a wonderful holiday. Partly along the coastline of Andalusia, visiting for example the beautiful city Cadiz, as well as driving inland with a stop in Ronda, this roundtrip can be easily extended from one day up to several days of holiday.